Hello! Today I am sharing two cards featuring the Running the Show stamp from Technique Junkies. This is such a cute image and saying, and this little boy reminds me of my own. 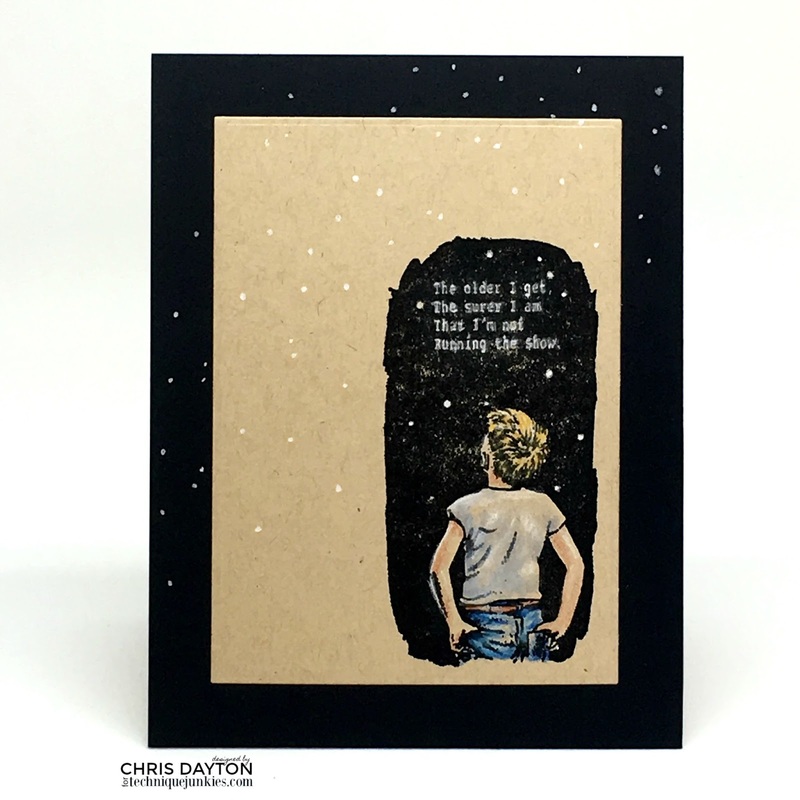 On this card, I have stamped on Kraft paper using Versafine Onyx Black ink. I then colored the boy using Prismacolor pencils. I adhered the kraft panel to a black cardbase and added more stars across the whole card front using Copic Opaque White, using a silicone-tipped stylus tool to dot the ink. 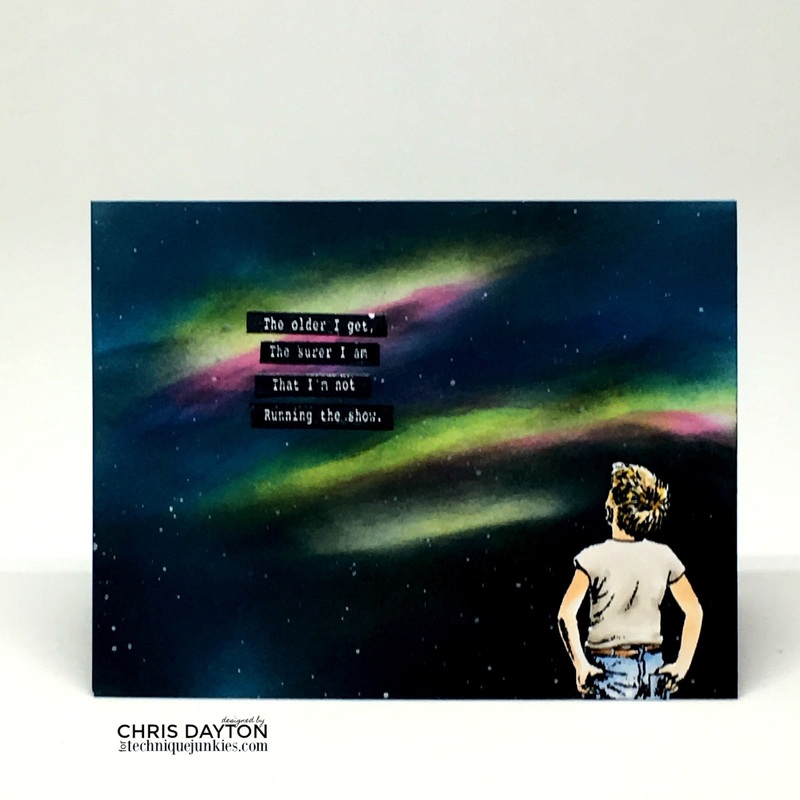 For this card, I created a galaxy background using Distress Oxide Inks. I stamped Running the Show separately on a piece of Hammermill 80# Color Copy Digital Cover paper using Memento Tuxedo black ink, masking each line of the sentiment separately so it would be easy to trim into strips to adhere to my background. The boy's image was colored this time with Copic markers and trimmed out and added to the background with liquid adhesive.